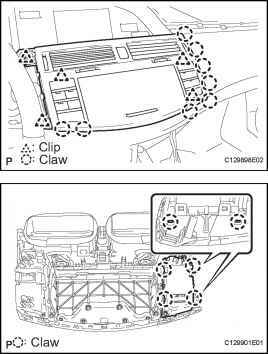 (b) Operate the air conditioning system. 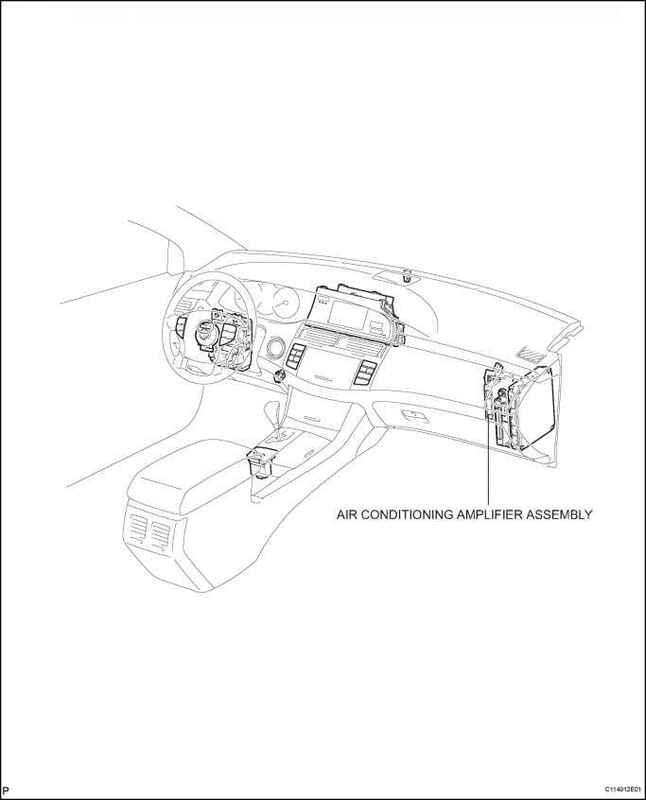 (c) Disconnect the connector from A/C pressure sensor. (d) Install the manifold gauge set (See page AC-134). (e) Connect the positive (+) lead from the three 1.5 V dry cell batteries to terminal 3 and negative (-) lead to terminal 1. (f) Check the voltage between terminals 2 and 1 of A/C pressure sensor. The voltage depends on the refrigerant pressure as shown in the chart. If the voltage is not as specified, replace the sensor. (a) Wait for 90 seconds after disconnecting the cable to prevent the airbag working. 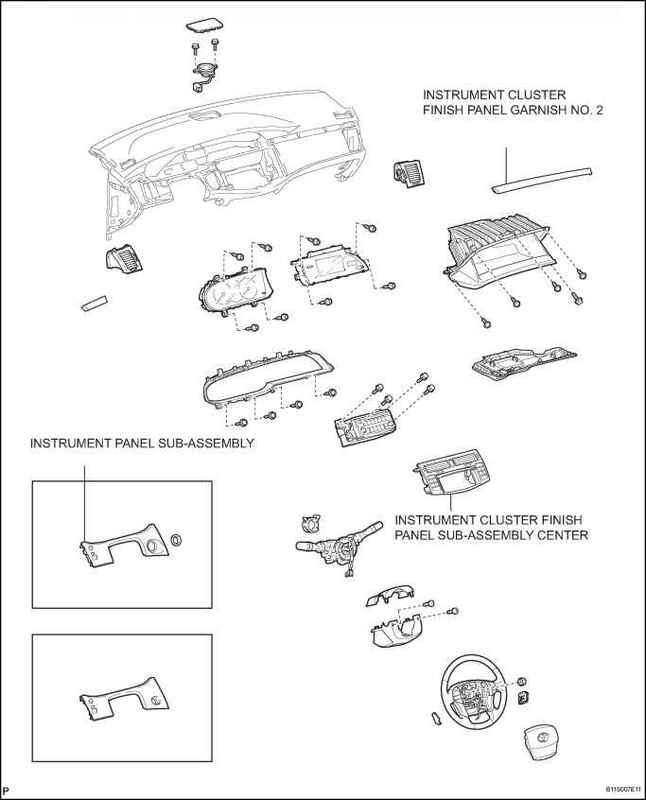 (a) Release the 8 claws and 5 clips and instrument cluster finish panel sub-assembly center. 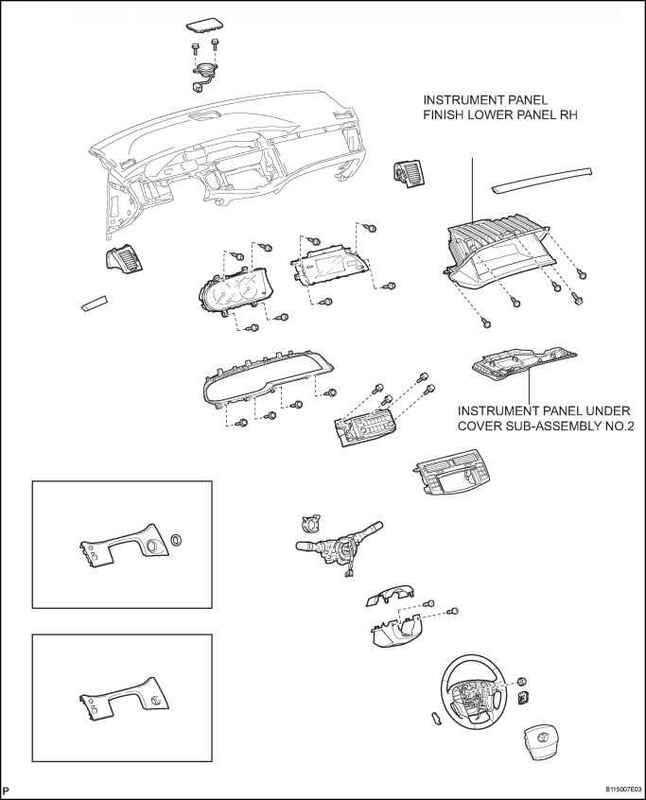 (b) Disconnect the connector and remove the instrument cluster finish panel sub-assembly center. 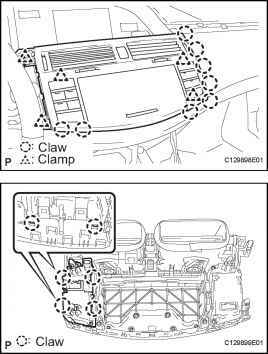 (a) Release the 4 claws and remove the air conditioning control assembly. (a) Release the 4 claws and remove the temperature control switch assembly. When disconnecting the negative (-) battery terminal, initialize the following systems after the terminal is reconnected. 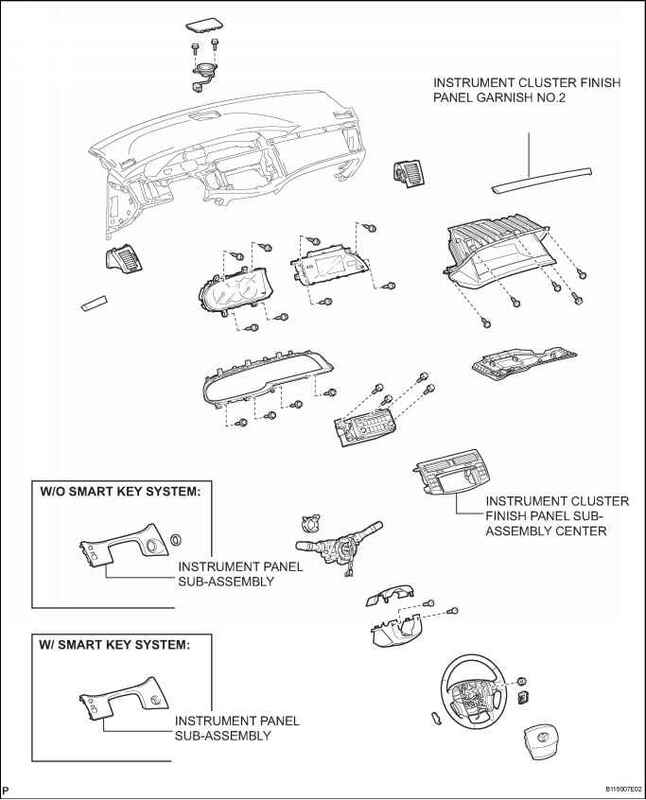 (a) Explain to the customer that when the negative terminal is disconnected from the battery, the AM/ FM channel presets in the radio receiver are cleared. If necessary, make a note of the recorded channel information before the negative terminal is disconnected, then reset the information after the negative terminal is reconnected. (b) The removal / installation of the radio receiver or tape player should be performed after all cassette tapes and audio CDs are ejected from the radio receiver or tape player. If a cassette tape, audio CD, or map disc cannot be ejected due to a malfunction in the radio receiver, do not attempt to remove it forcefully. Bring the vehicle to a repair center. (c) Fasten the ground bolt securely when the antenna cord is removed or installed. Failure to fasten the ground bolt securely causes noise when receiving radio waves. (d) Do not touch the cone paper of the speaker. How to disconnect Toyota Avalon battery? 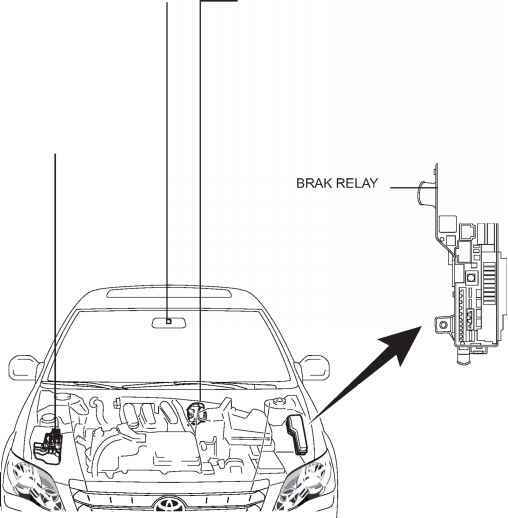 How to perform initialization of the aircondition of toyota sienna after disconnection of battery?